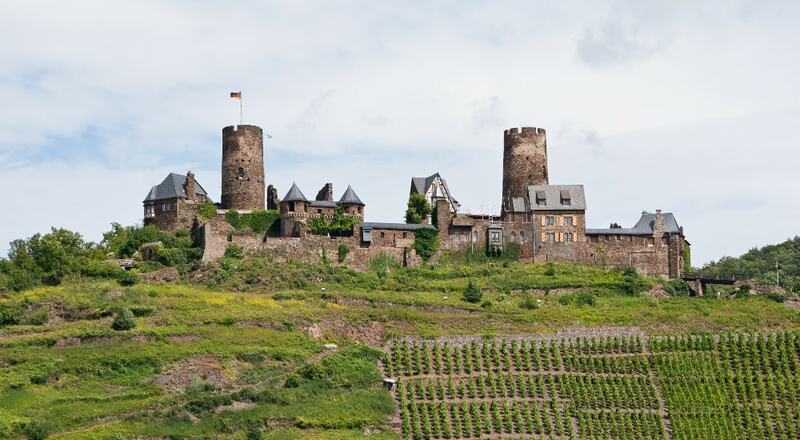 The ruins of Thurant Castle stand on a wide hill spur made from slate above the villages of Alken; next to the castle which stands on a steep shoulder of the valley are vine gardens on the sunny side. From the mid-13th century the archbishops of Cologne and Trier were joint owners of the site and had their respective property managed by burgraves. As a result, each half of the castle had its own bergfried, living and domestic buildings and a separate entrance. The castle is still in private hands today, but may be visited from March to mid-November for a fee.